Liberated sounds for any army that listens. Be My Monster Love is Murray’s first quartet album in six years. 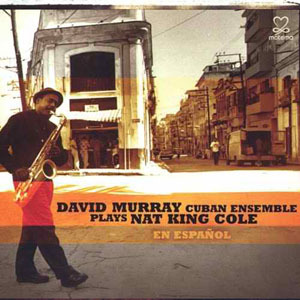 In addition to Murray on tenor sax, the band consists of fellow Motéma artist Marc Cary on piano, Jaribu Shahid on bass and Nasheet Waits on drums. Bobby Bradford, renowned trumpeter and Murray's former teacher at Pomona College, joins the quartet for "The Graduate." The album also features two noteworthy vocalists. Platinum-selling Grammy® Award-winner Macy Gray sings the title track, continuing a relationship that began when Murray and Gray worked together in Questlove’s Afro Picks project, in which Murray was arranger, bandleader and player and Gray was a featured vocalist. The album also prominently features the twice-Grammy® Award-nominated soul/jazz sensation Gregory Porter, also a Motéma artist, who performed live with Murray’s Cuban Ensemble and was part of the most recent iteration of Tongues on Fire, a tribute to the Black Panthers that Murray wrote for the Last Poets. French Kiss For Valerie; Be My Monster Love; Stressology; Army of the Faithful; Sorrow Song; About The Children; The Graduate; Hope Is A Thing With Feathers. 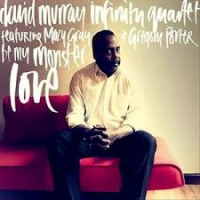 David Murray: tenor saxophone; Marc Cary: piano,organ; Jaribu Shahid: bass; Nasheet Waits: drums; Bobby Bradford: cornet (7); Macy Gray: vocals; Gregory Porter: vocals.